Evening dress, 1954, 20th century, 117 cm. Gift of Mme Marie-Paule Nolin. M983.28.2. © McCord Museum. MONTREAL, CANADA.- The McCord Museum is proud to announce that the research undertaken for the 2006-2007 Marie-Paule Nolin Collection Study Award has highlighted the work of three extraordinary Quebec designers: Gaby Bernier, Marie-Paule and Marielle Fleury. Through studying their work we are able to see how by the 20th century, Quebec fashion had moved away from its European roots to create its own distinct identity. 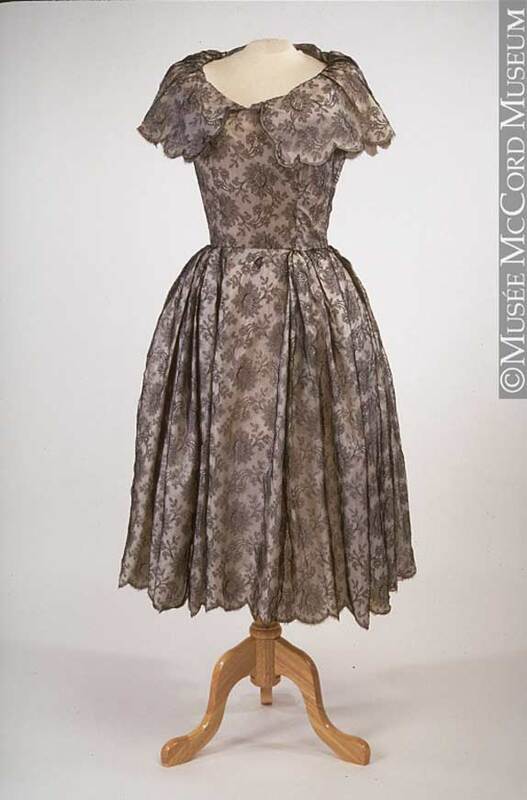 Through the designers work, we also get an idea of the Quebec women viewed body image in the mid-20th century and how they embraced modernity through their attire. The 2006-2007 award was granted to Françoise Dulac Ph. D. Dr Dulac earned her Doctoral degree in Sociology, with a focus on fashion, society and appearance. She has worked at the École supérieure de mode de Montréal for over 10 years now. The Marie-Paule Nolin Collection Study Award is an annual award made available to assist a research project intended for publication which makes direct use of material evidence from the McCords collection of Canadian costume and textiles.